I know you have that song in your head….”It’s the most wonderful time of the year”! I have to tell you, I LOVE back-to-school time, but not for the reasons you are probably thinking! I love having my son home with me all summer, and I actually don’t want to send him back to school! I love every day that we spend together, and although it can be difficult at times (that little six year old has a big personality!) I will miss him when he’s gone. What I love about this time of the year is the preparation – a fresh start, something new, and something exciting to get ready for! My son is very excited to start grade one, and he’s been very specific about what he thinks a grade one student needs for the school year. 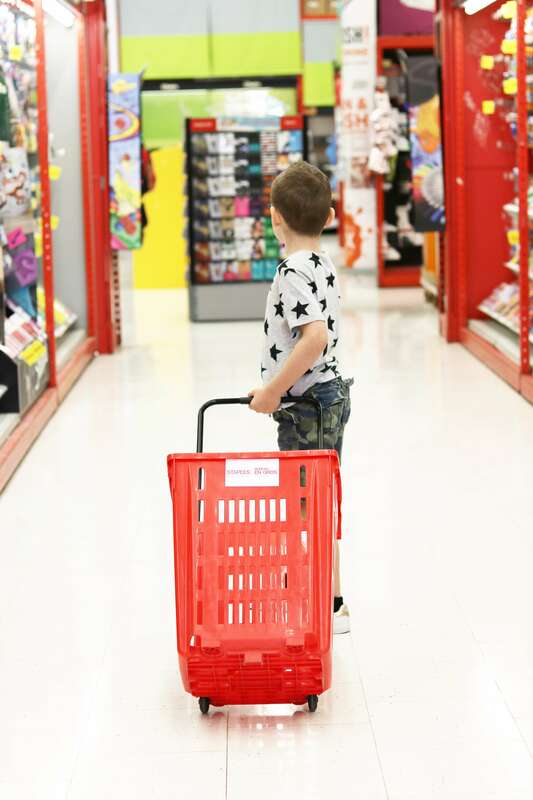 I handle the clothing choices for the most part, but when it came to school supplies I guided my son in the right direction but let him make all of the choices. 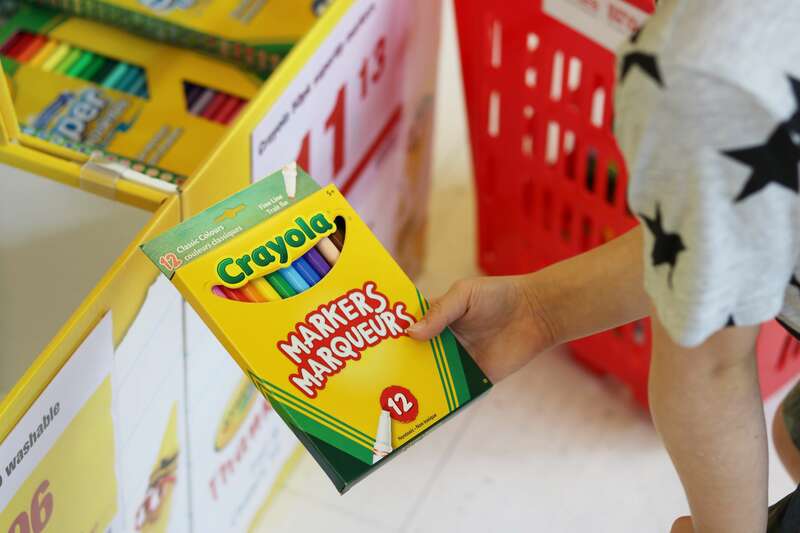 Who better to choose the best pencil crayons for school then my six year old son? He certainly thought he had the expertise, so I let him run with it! This year we did all of our school supply shopping at Staples. 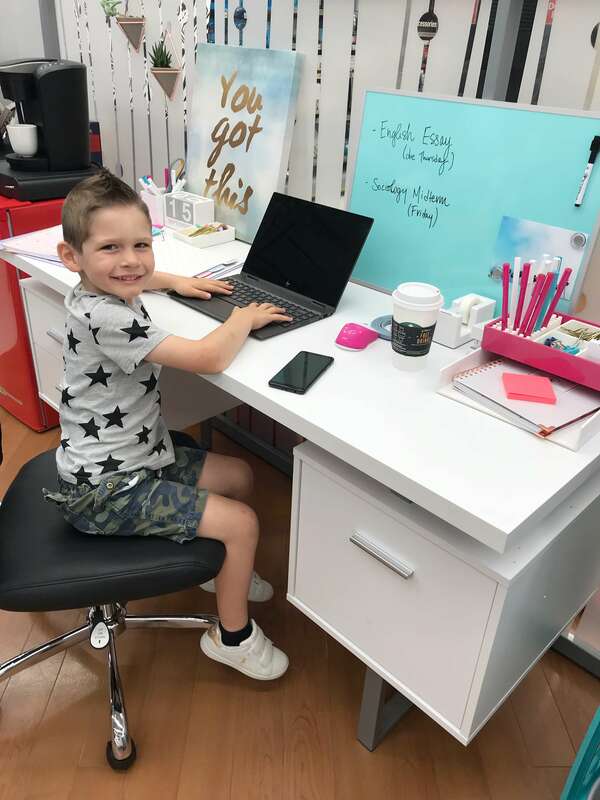 We attended a preview a couple weeks ago and took a look at what’s new for this school year, and right after we got shopping for what my son needed for his school year. They are a one-stop-shop for everything from school supplies, technology, and even furniture! 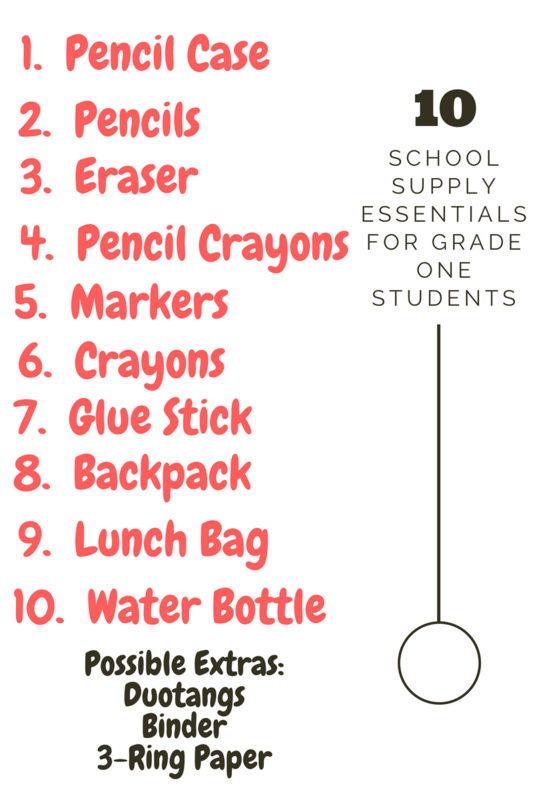 Grade one students often receive a list directly from their new teacher during the summer letting them know what supplies they will need in September, but sometimes that does not happen so I thought I would put together a list of what is often needed to start the year. With this list in mind, I let my son go around the store and choose exactly what pencils he wanted, crayons, markers, and other essentials. He really felt like he had a lot of responsibility in choosing his own supplies! I was so lucky that everything we needed was at Staples – no need to run around to other stores to grab this and that. I was done all of our school supply shopping in one trip. 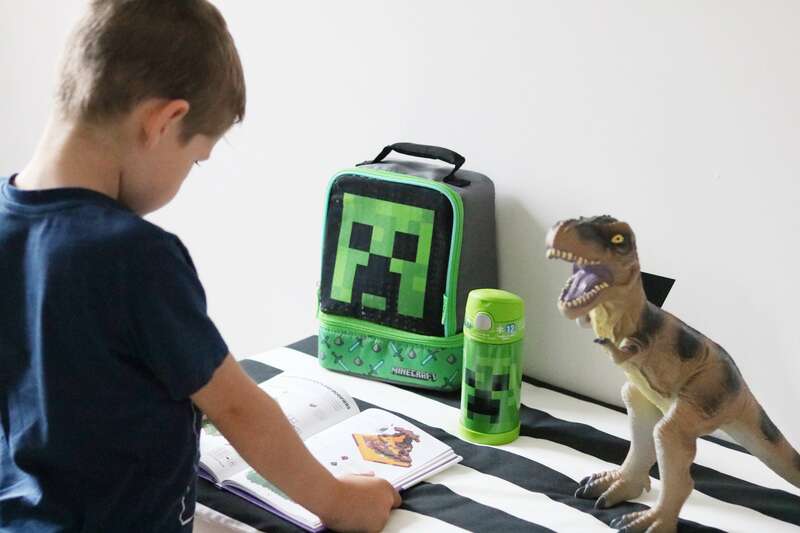 What he was most excited about was the Minecraft lunch bag and water bottle he found! 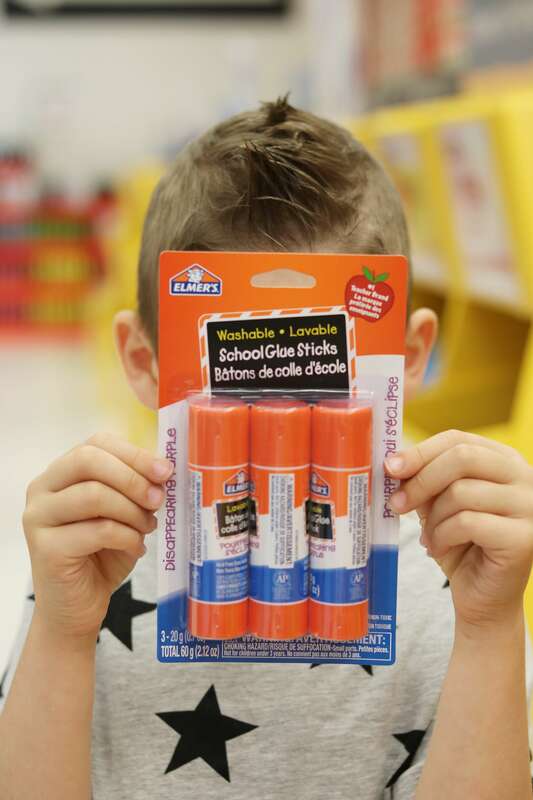 He was so excited when he saw these on the shelf at Staples – he can’t wait to use them at school. 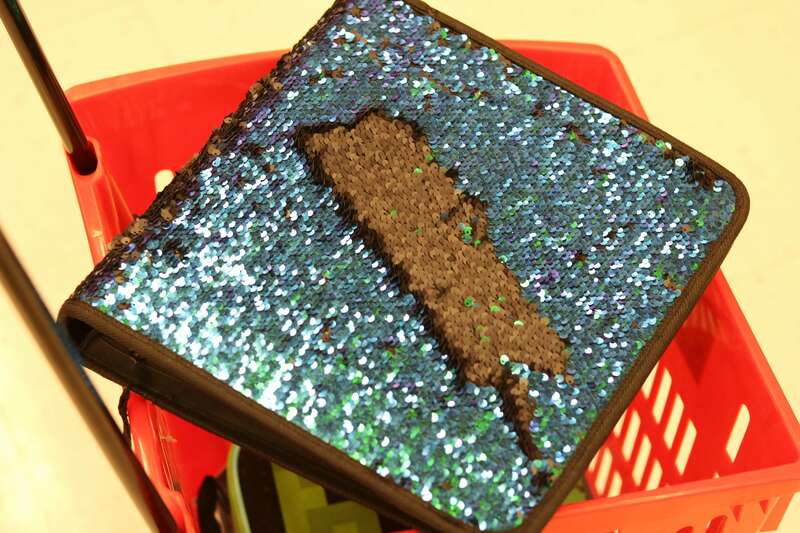 Another one of his favourite finds was the sequinned binder that changed colours each way you moved the sequins. Although a binder is something that not every grade one student requires (depending on the teacher), I was convinced that it was an essential! He also found a laptop that he apparently “had to have”, but I talked him out of that one! I did agree to this great backpack. 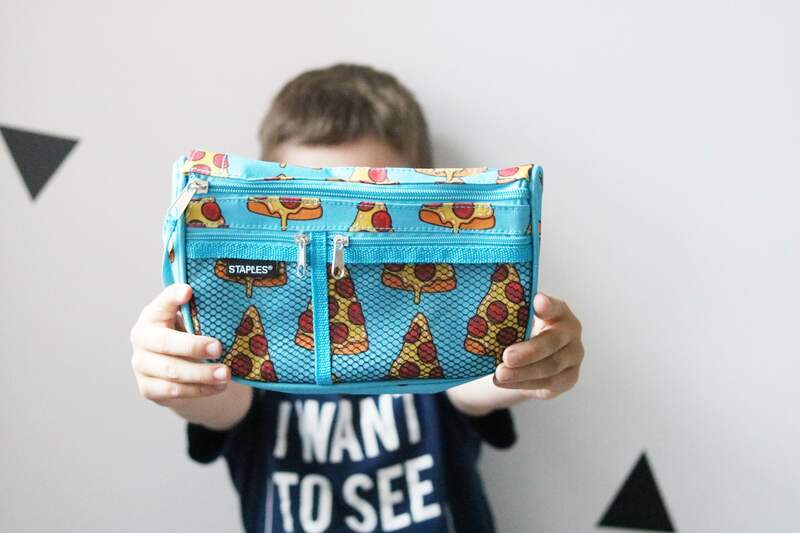 He loved finding this great pencil case from Staples – I couldn’t say no to a pencil case with pizza’s on it! 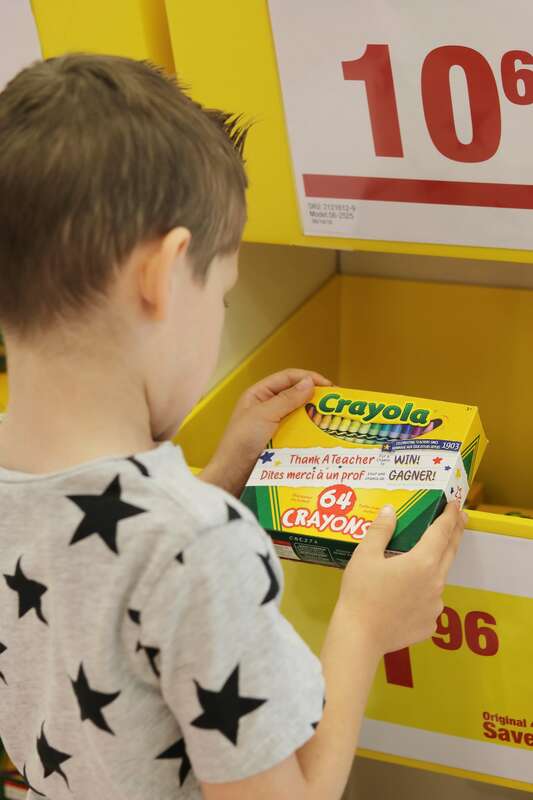 Although it was easy for me to find EVERYTHING my son needed for back-to-school in one trip to Staples, I also learned during my trip that not only can you buy products online, but you can also do so on their app and send the products either to your home, or have them shipped to your local store for pick up This could be essential for those students moving into dorms this fall! Luckily I have a few years before I need to worry about that! 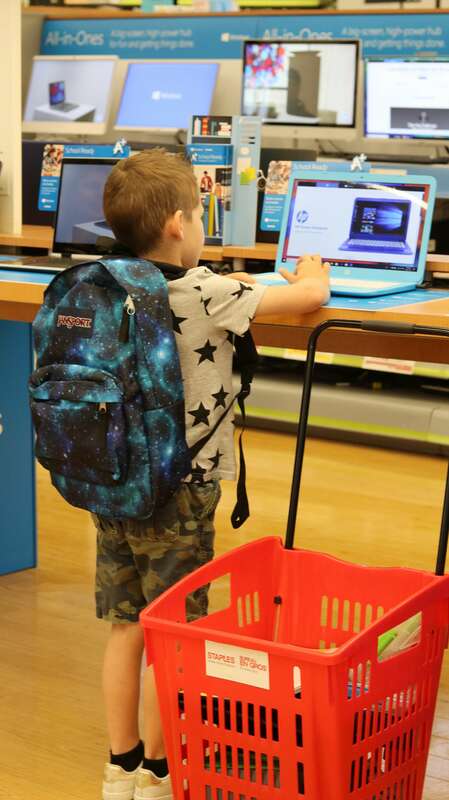 To do your own school supply shopping online, or just to take a look at what Staples has to offer before you head into your local location head to their website here for everything back-to-school! My only issue now? Stopping my son from using these school supplies before school starts! He’s so ready to start using everything we bought but I’m trying to hold him off until September! Next Post New York City Shopping Haul Video!